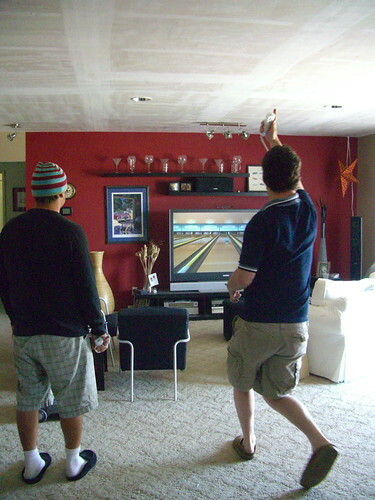 Here's the guys playing our new Nintendo Wii, slippers and all. P.S. 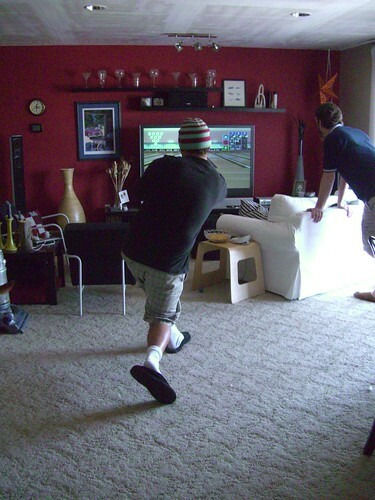 - I rearranged the living room furniture for optimal game play.